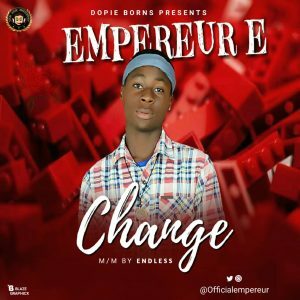 DopieBorns entertainment present dia fast rising artist Empereur E on dis jam titled CHANGE. It is a Motivational song u wouldn’t like to miss Download Enjoy and Share with friends. Nice one dude… Hustle surely will pay.